Beautiful spring weather welcomed a large crowd of visitors to Our Lady of Czestochowa Catholic Church as the parish held their 8th annual Polish Festival on Saturday, May 3 and Sunday, May 4, 2014. 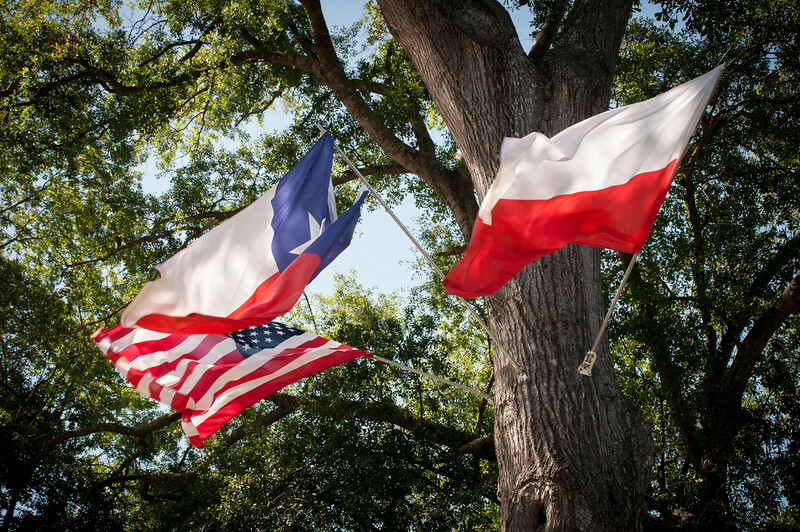 The festival was held on the church grounds in the Spring Branch area of Houston. 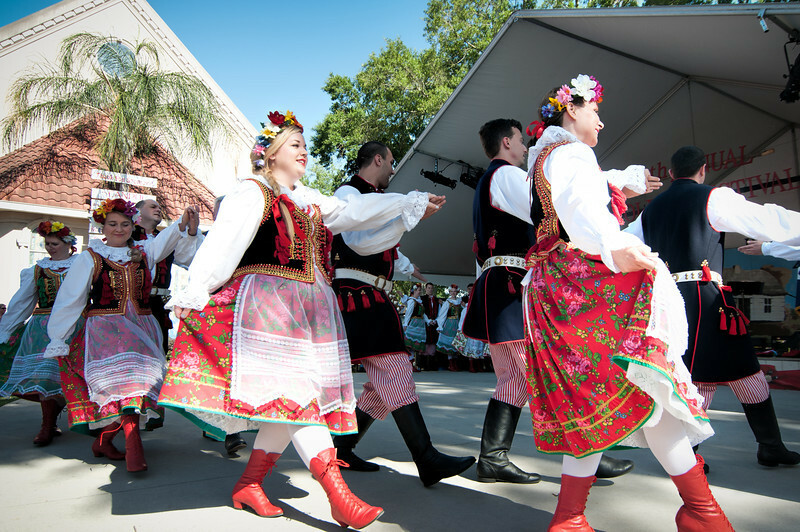 The festival opened on Saturday morning with music by DJ Chris Piorkowski and singing by Edward Winiarski, followed by a rousing performance of Polish folk dancing by Houston’s own Wawel Dance Group. 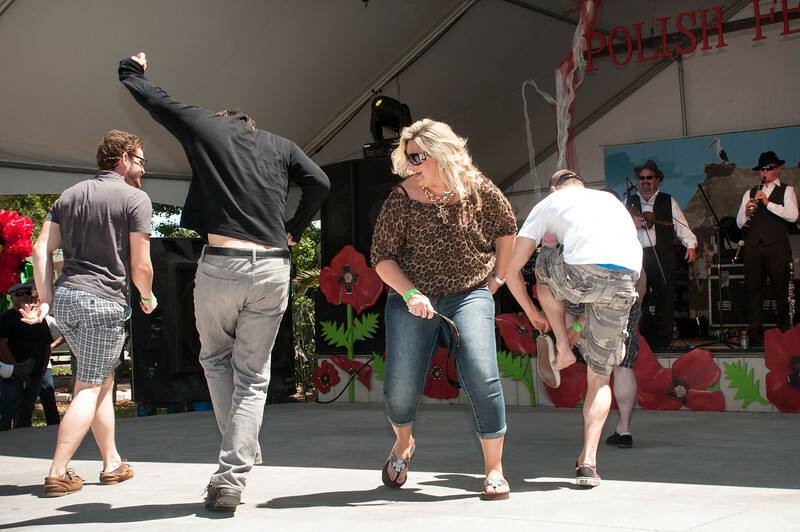 The festival provided a variety of things to do for adults and children. There were games, a water slide, bounce houses, art studio and other fun activities in the children’s area. The entrance to the festival was lined with vendor booths full of t-shirts, jewelry, Polish pottery, artwork, crafts and other items. A silent auction with tables full of great items was held in the air conditioned parish hall. 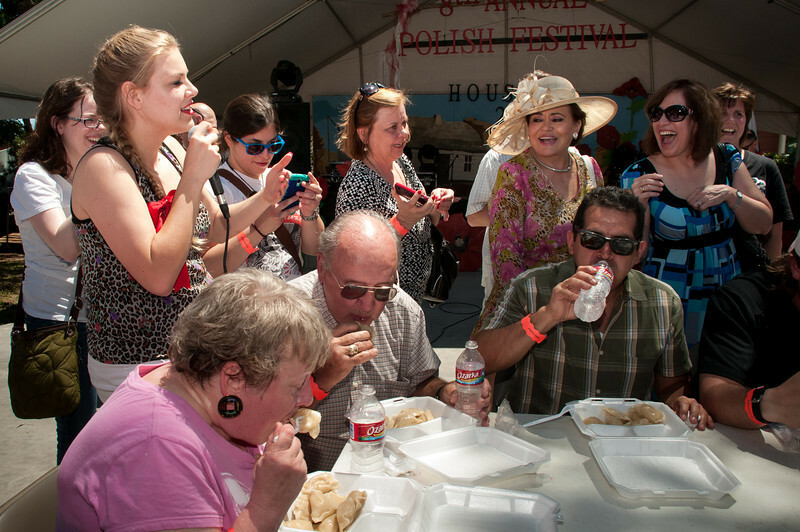 The hungry crowd formed long lines for the good food which included delicious Polish pierogi, golabki, kielbasa, kiszka, bigos, golonka and American chicken tenders, turkey legs, french fries and hot dogs. A huge assortment of traditional cakes, rolls and desserts was served all day and there was plenty of cold piwo including Polish Tyskie, wine and soft drinks to go with it. The official opening ceremonies began at 1 pm with a presentation of the American, Polish and Texas flags, singing of the national anthems of the United States and Poland, a welcome by Our Lady Of Czestochowa pastor Fr. Waldemar Matusiak and the release of a flock of pigeons. 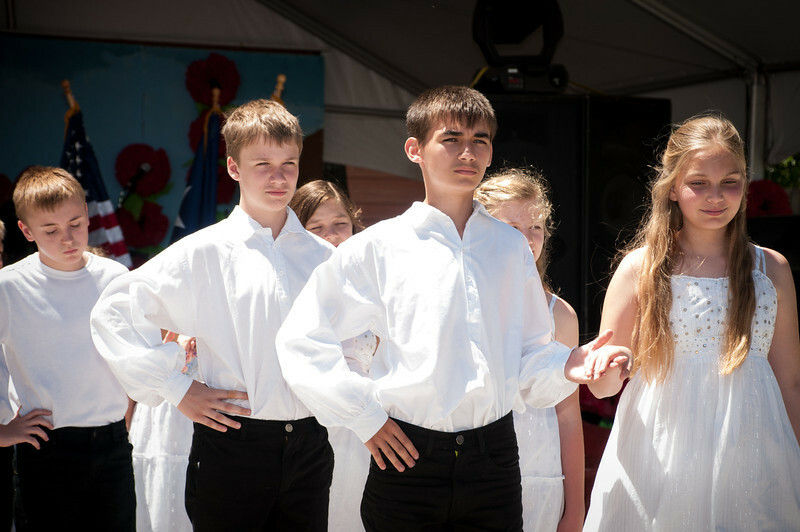 Next, the young children of the parish Polish School performed Polish folk songs & dances. On Saturday afternoon, Texas-Polish dance band fiddler Brian Marshall took to the stage and entertained the crowd together with talented musicians David Slovak on accordion, Ron Kasowski on guitar, Chuck Bolin on drums, Jake Kasowski on the upright bass, Brian’s sons Jakub on clarinet and Michal on fiddle and James Mazurkiewicz on bęben. Brian and the band played lots of good old fashioned Polish music including a rendition of Pije Kuba as a tribute to deceased Father Leszek Wedziuk and they provided the music for Kim Patke’s Follow The Leader Polish dance and a spirited Polka contest led by Chris Piorkowski. Entertainment on Saturday evening included more Polish music and song performed by Ed Winiarski & Michal Nikicicz, more dancing by Folk Dance Ensemble “Wawel”, musical perfomance by Yessica Krozel & Sebastian Dzielski, a Krakowiak Dance Contest and lots of Polish disco music spun by DJ Chris Piorkowski. On Sunday, the festival started with Holy Mass followed by a colorful parade with lots of adults and children dressed in native folk costumes and a welcome by Professor Ewa Thompson. 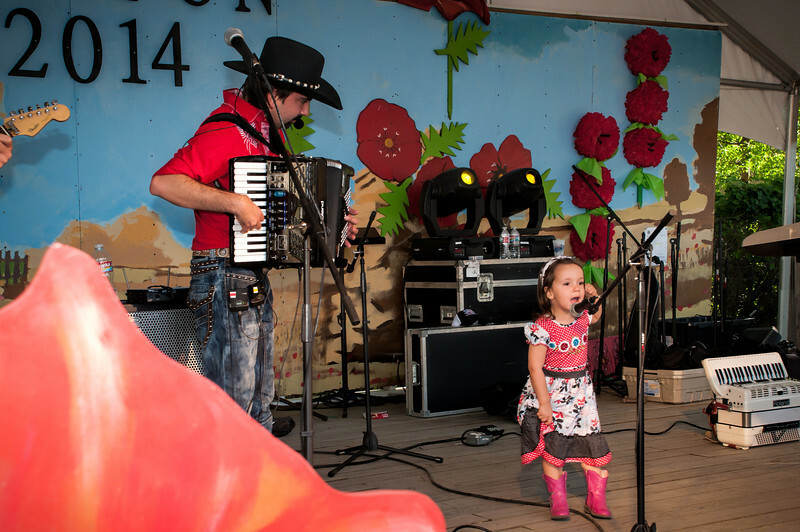 Afternoon entertainment included performances by the Polish School Children, Wawel Dance Group, an entertaining pierogi eating contest hosted by Chris Piorkowski and Yessica Krozel and plenty of dance music by Accordion Cowboy Chris Rybak and his band. 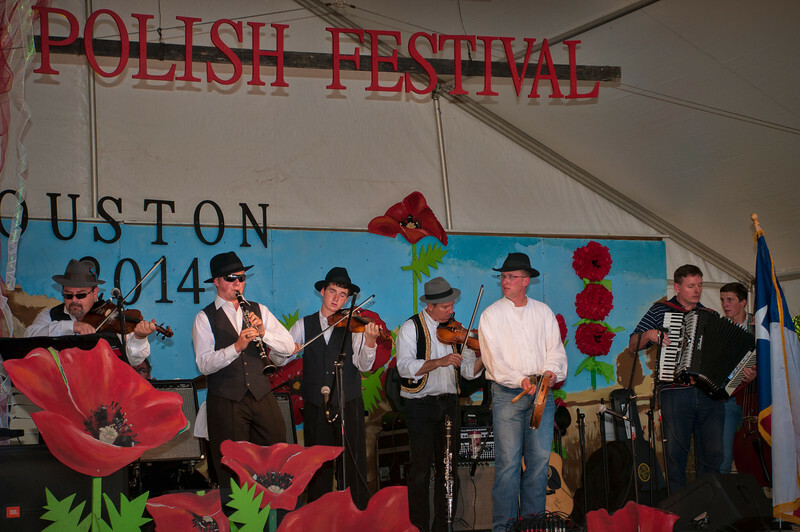 If you missed this years festival, you missed out on a really good time so be sure and make plans now to attend next years fun. 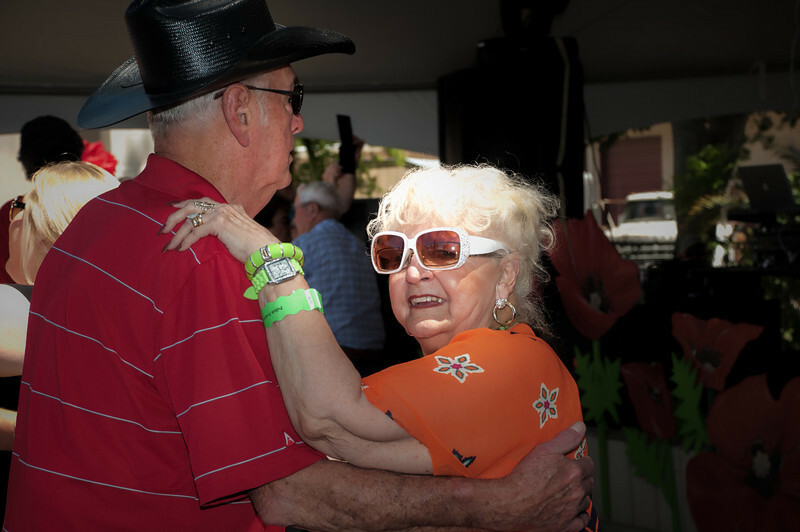 Below are a few photos of the fun and there is a slideshow of many more photos from Saturday on page 2 and slideshow of photos from Sunday on page 3, there are a few music videos in the Polish Texans Video section or you can see more videos on our YouTube Channel.